Securing web apps with HTTPS is more important than ever before. Browser enforcement of HTTPS is becoming increasingly strict. Sites that don't use HTTPS are increasingly labeled as insecure. Browsers are also starting to enforce that new and existing web features must only be used from an secure context (Chromium, Mozilla). New privacy requirements like the Global Data Protection Regulation (GDPR) require the use of HTTPS to protect user data. Using HTTPS during development also helps prevent HTTPS related issues before deployment, like insecure links. ASP.NET Core 2.1 makes it easy to both develop your app with HTTPS enabled and to configure HTTPS once your app is deployed. The ASP.NET Core 2.1 project templates have been updated to enable HTTPS by default. To enable HTTPS in production simply configure the correct server certificate. 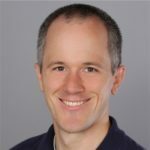 ASP.NET Core 2.1 also adds support for HTTP Strict Transport Security (HSTS) to enforce HTTPS usage in production and adds improved support for redirecting HTTP traffic to HTTPS endpoints. To trust the certificate (Windows and macOS only) first install the dev-certs tool by running 'dotnet install tool dotnet-dev-certs -g --version 2.1.0-preview1-final' and then run 'dotnet-dev-certs https --trust'. Trusting the HTTPS development certificate was requested. A confirmation prompt will be displayed if the certificate was not previously trusted. Click yes on the prompt to trust the certificate. A valid HTTPS certificate is already present. To run the dev-certs tool both dotnet-dev-certs and dotnet dev-certs (without the extra hyphen) will work. Note: If you get an error that the tool was not found you may need to open a new command prompt if the current command prompt was open when the SDK was installed. On Windows a dialog will pop up to confirm that you want to trust the certificate. Click Yes to trust the certificate. On macOS the certificate will get added to your keychain as a trusted certificate. On Linux there isn't a standard way across distros to trust the certificate, so you'll need to perform the distro specific guidance for trusting the development certificate. Close any open browsers and then in a new browser window browse to https://localhost:5001 to access the app via HTTPS. You can still click on "Details" to ignore the warning and browse to the site, but you're better off running dotnet dev-certs --trust to trust the certificate. Just run the tool once and you should be all set. This is thanks to the new HTTPS redirection middleware that redirects all HTTP traffic to HTTPS. The middleware will detect available HTTPS server addresses at runtime and redirect accordingly. Otherwise, it redirects to port 443 by default. HSTS is a protocol that instructs browsers to access the site via HTTPS. The protocol has allowances for specifying how long the policy should be enforced (max age) and whether the policy applies to subdomains or not. You can also enable support for your domain to be added to the HSTS preload list. Note that HSTS is only enabled when running in a non-development environment. This is to prevent setting an HSTS policy for localhost when in development. The ASP.NET Core HTTPS development certificate is only for development purposes. In production you need to configure your app for HTTPS including the production certificate that you want to use. Often this is handled externally from the app using a reverse proxy like IIS or NGINX. ASP.NET Core 2.1 adds support to Kestrel for configuring endpoints and HTTPS certificates. You can still configure server URLs (include HTTPS URLs) using the ASPNETCORE_SERVER_URLS environment variable. To configure the HTTPS certificate for any HTTPS server URLs you configure a default HTTPS certificate. We hope these new features will make it much easier to use HTTPS during development and in production. Please give the new HTTPS support a try and let us know what you think!